The language course starts at an attractive price tag of AED 990. Be aware though that the longer you wait the higher the price as it rises by AED 10 each day until the actual course starting date. So, it all depends on your speed of reaction! To truly understand a language, learn the culture that surrounds it. Korea has a rich cultural history as well as a trending pop culture. When you study with us at Pomegranate Institute, you will learn to speak, read, and write Korean in a supportive environment as you develop your language skill through each level of study. The Korean language courses are tailored to suit the student’s specific needs and goals. Every class is different because every student is different. Our instructors focus on the student’s primary objectives in learning the language. Whether the student’s aim is to learn survival Korean before taking a trip, or to learn the proper vocabulary to write a business proposal in Korean, we can design the course to meet the student’s professional, social, or educational needs. Plastic surgery capital of the world. I visited Seoul, South Korea with my best friend in Mid May. It was such a perfect time to visit there since the weather was not too hot neither too cold. The first thing that came to mind when people talk to me about South Korea are “K-Drama” and cosmetics with cute packaging. After 5 days into my stay there it’s not only the city itself that I fell in love with but also the fascinating culture and fantastic food that I indulged in. My first day of traveling to South Korea, I was so excited to explore as much as possible during my short visit. My best friend and I planned for this trip more than 2 months. The wait was over, even though I had 9 hours of flying but all the exhaustion vanished & was replaced by excitement & happiness. From Inchon International Airport to Seoul City transport links are very convenient for tourists as public buses, trains, and taxis are always available. 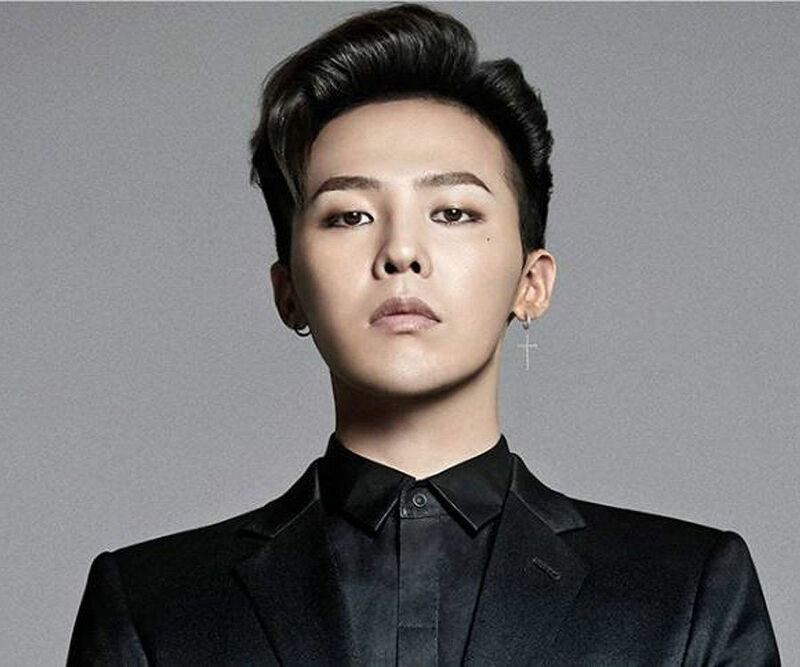 G-Dragon is the most famous K-Pop artist in Korea, having over 15 Million Instagram followers in the world. He frequently gets invited to CHANEL, GUCCI, and Alexander McQueen fashion events in Europe, thanks to his provocative fashion sense. He trained with SM Entertainment for five years before becoming a member of YG. GD has been participating in entertainment industry since he was a boy. GD's first appearance in the industry was at a kids TV program 뽀뽀뽀 (Bbo Bbo Bbo), and when he was 7 he became a member of Little Roora. EXO have been recipients of 57 awards from South Korea and mainland China. On June 14, 2013, a year after their official debut, the band received their first number-one win on South Korean music program Music Bank with the single "Wolf." The following weekend, the song achieved number-one wins on Show! Music Core and The Music Trend, becoming a "triple win" hit. It also won a champion trophy on music program Show Champion. They originally debuted as 12 members, who were also split into two subgroups: EXO-K and EXO-M, performing in Korean and Mandarin respectively. Three members have since left the group, and the remaining members perform as the singular group, EXO. Three members also form the sub-group EXO-CBX. Namiseom Island, also known as Nami Island, got its name from 16th-century General Nami who died at the age of 28 and rested there. The Island was formed in 1944 when the construction of Cheongpyeong Dam on River Han resulted in the flooding of the land. In 1965, around 2,000 trees, including those of White Pine, White Birch, Tulips, Cherry, Redwood, and Ginkgo, were donated to the island by Byeong-Do Minn. In 1394, during the early days of the Joseon Dynasty, the capital of Korea was moved from Kaesong, in modern day North Korea, to Seoul, known then as Hanyang. When the capital was moved, a new palace was required and built. When construction was completed, Gyeongbokgung Palace became the heart of the capital of Korea along with the head of state of the Joseon Dynasty. Gyeongbokgung Palace was the major legal residence of the royal family during the Joseon Dynasty. Carrying a meaning of “a place where the new king can enjoy prosperity of great blessings,” this was the first palace built during the Joseon Dynasty. The palace is unique for its vast area and harmony of buildings, and is the only palace to have all four major gates still remaining to this day. Banchan is an important part of Korean cuisine, from the most humble, simple dinner made at home to a full spread seen at janchi ceremonial celebrations and royal court cuisine. It is absolutely indispensable and always — always — accompanies any and every meal. Even pubs and street food stalls will offer at least one or two small banchans because it is a definitive part of Korean cuisine. The larger the variety, the more it showcases a quality of care, service and economic stability. Banchan refers to those delicious little side dishes served at the start of a Korean meal. I like to think of them as Korean tapas. They’re typically offered as ancillary dishes, but Sigol Bapsang in Itaewon serves them as the main course. There you’ll get at least 20 different kinds of banchan for just KRW 8,000 per person with rice and sundubu jjigae. Like Korean barbecue, bibimbap is one of the most popular Korean dishes outside of the country. It literally means “mixed rice” and refers to a bowl of warm white rice topped with gochujang (Korean chili paste) and a variety of sauteed and seasoned vegetables like cucumber, soy bean sprouts, radish, spinach, and mushroom. An egg (raw or fried) and sliced meat, typically beef, are often added. The contents are then mixed together thoroughly before being eaten. There are multiple variations of bibimbap, one of the most famous being Jeonju bibimbap. Grandma Yu’s Bibimbap is described as being one of the most authentic places in Seoul to try Jeonju bibimbap. Bibimpap sometimes anglicized as bi bim bap or bi bim bop, is a Korean dish. The word literally means "mixed rice". Bibimbap is served as a bowl of warm white rice topped with namul and gochujang, soy sauce, or doenjang. The dish is a descendant of Goldongban which is very similar to bibimbap. Bibimbap was created because of a tradition in Korean culture where people believed that the food which was leftover during New Year’s Eve was not suitable or fit to bring into the New Year. With this assumption, many people then decided to start combining ingredients in a bowl with rice.